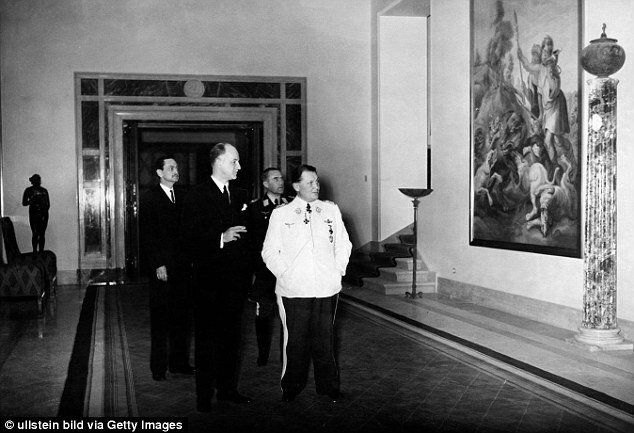 The detective work in Hunting Nazi Treasure will take the team across four continents – from European salt mines and castles to the desert sands of North Africa and across the ocean to North and South America in search of some of the hundreds of thousands of paintings, documents, and other cultural objects worth billions of dollars that remain missing. The investigators will be digging for new leads through questioning of top experts and historians of the Nazi era, and sifting through original documents, including de-classified intelligence reports, Nazi dossiers, rare archives, and private collections. They will also meet with witnesses, veterans, victims and their descendants to hear their personal stories about what was lost and develop additional clues. The Monuments Men Foundation for the Preservation of Art is pleased to announce its participation in a new original investigative television series, Hunting Nazi Treasure. The new co-production between Corus Entertainment's HISTORY Canada and More4 (Channel 4), is produced by Saloon Media (Toronto) and BriteSpark (UK), with production set to begin this September. Hunting Nazi Treasure will air on HISTORY in Canada in 2017. 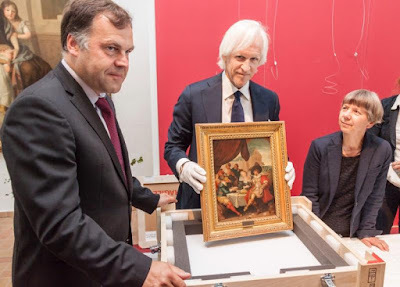 The series will feature a team of present-day investigators led by Robert M. Edsel, Founder and Chairman of the Monuments Men Foundation for the Preservation of Art, and the author of the New York Times #1 Bestselling book-turned-movie The Monuments Men. Joining Edsel on the team are investigative journalist Conor Woodman and World War II historian James Holland. The detective work in Hunting Nazi Treasure will take the team across four continents – from European salt mines and castles to the desert sands of North Africa and across the ocean to North and South America in search of some of the hundreds of thousands of paintings, documents, and other cultural objects worth billions of dollars that remain missing. The investigators will be digging for new leads through questioning of top experts and historians of the Nazi era, and sifting through original documents, including de-classified intelligence reports, Nazi dossiers, rare archives, and private collections. They will also meet with witnesses, veterans, victims and their descendants to hear their personal stories about what was lost and develop additional clues. "This program will present a unique opportunity to put the Foundation's extensive records and archives to use, and engage the public in the search for these missing items," said Edsel. "The Foundation regularly receives leads through its toll-free tip line, 1-866-WWII-ART (1-866-994-4278), and online at wwiiart@monumentsmenfoundation.org. It is my hope that our program will become America's Most Wanted for culture and lead to the return of priceless objects to their rightful owners. George Clooney's film introduced the Monuments Men to a worldwide audience; now we have an opportunity to enlist the help of the public to join the hunt for some of the hundreds of thousands of objects still missing." Narco Nazis: Book Sheds New Light on Hitler's Drug Use, Wehrmacht's "Amphetamine Blitzes"